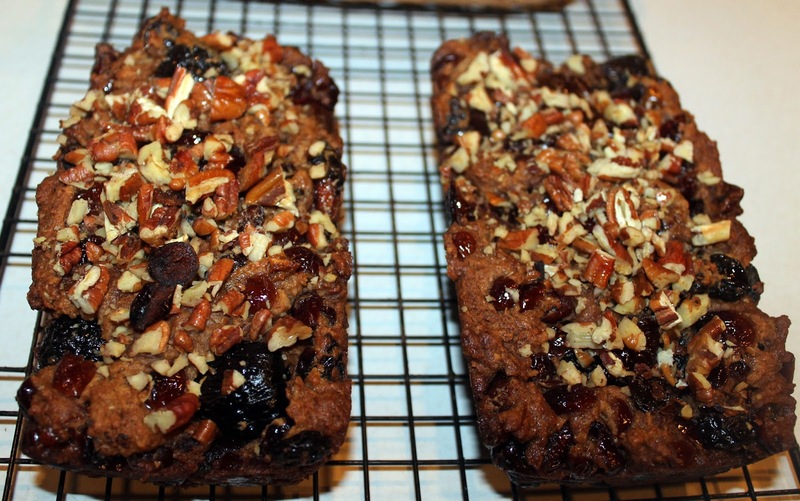 I can't help it, I am not a fan of traditional fruit cake. I can not stand candied citron fruit, try as I have over the years. 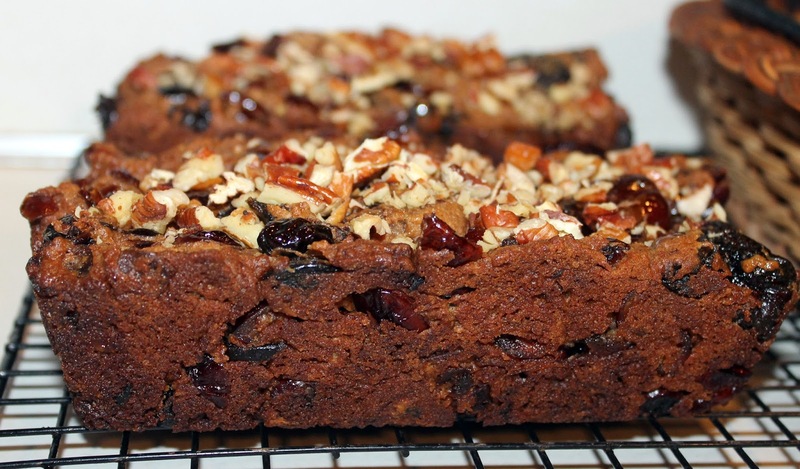 To me it's just the grossest stuff ever, so of course, fruit cake was not something I ever enjoyed. 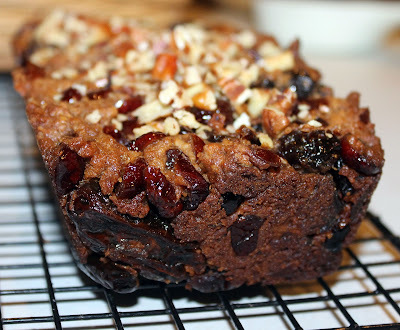 That all changed for me one day when I saw my friend, Doreen, post this delicious Irish Farmhouse Boiled Fruit Cake on her page, La Difference! Wait? What? Real dried fruit and not that candied stuff? I was so excited, I knew right then and there I wanted to make it. A few months had gone by, and I started looking for where I saved this recipe ... quickly found it and set out to make it. So darn delicious and the taste of the real dried fruit just shines through. If you are like me and a traditional fruit cake hater, you need to try this recipe ... seriously, it's nothing like that other stuff ... it's wayyyyyy better! 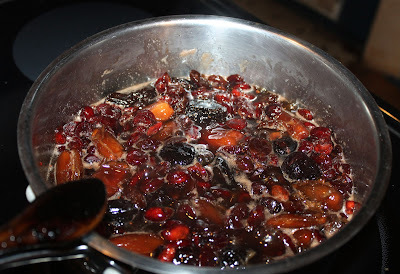 Add the water, whiskey, butter, sugar and fruit to a large sauce pan and heat slowly to a simmer. Cook 10 minutes; remove from heat and let cool slightly. Preheat the oven 300 degrees. Sieve together the flour, bicarbonate of soda and mixed spices. Add the flour mix and the eggs to the pan and give it a stir ... just to combine everything together... don't beat it. Pour this into the prepared baking tin. 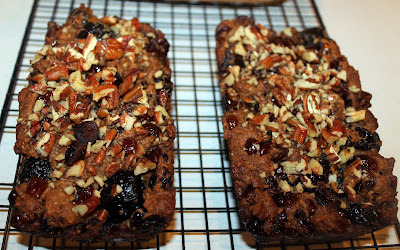 Smooth over and sprinkle with any nuts if using (I used chopped pecans, but walnuts or sliced almonds would work too). Place into the center of the pre-heated oven and bake for around 1 1/2 hours but check after 1 1/4 hours. Cake is ready when a toothpick inserted in the middle comes out clean. Remove from the oven , leave in the pan for 15 minutes before turning out onto a wire cooling rack. Once cooled, I wrapped in plastic wrap and stored inside a zip-top bag. Letting it sit a day or two allows the flavors to develop more deeply. Delish! *cooks note - I would not use the dried figs again unless I chopped them up some. Instead I would add golden raisins.